WCPE Episode 194 – Black Panther and Con Recaps – WORST. COMIC. PODCAST. EVER! Sooooo, seen any good movies lately? We are here to sing the praises of Black Panther! This is the new standard for all comic-book movies – a beautiful, well-acted film which left the audience thinking and talking and going back to see it again and again. By our humble estimation, the only thing that could have made this movie better was finding a way to include Nicholas Cage into this soon-to-be masterpiece. But before we can talk about the movie, we have some con recaps to share with you. We have finally rested up after the epic 2018 Planet Comicon, and have all kinds of stories to share with you. 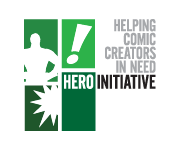 The panels, our friends, and most importantly our work for the Hero Initiative. If you haven’t seen our Facebook post, we did some incredible things for this worthwhile cause, so thank you Kansas City! In addition, Cullen attended the Image Comics Expo in Portland last week, followed by the Hillsboro Library Comicfest. At the Image Expo, Cullen played the part of mild-mannered reporter for an upstart podcast, giving him the chance to talk to some of the comic creators promoting new projects coming out at Image in 2018. First up this week will be writer Robert Kirkman, whose new title Oblivion hits comic book stores next Wednesday.